With high brightness ranging from 5000lm to 5500lm, the PT-VZ580 series of portable projectors is at least 200lm brighter than the VZ570 series. You can expect deep blacks, pure highlights, crisp graphics and easy-to-read text. A winning formula for imaging brilliance is complemented by a high 16000:1 contrast ratio. The PT-VZ580 series features resolutions from XGA to WUXGA, bringing native Full HD video to big screens in small spaces. 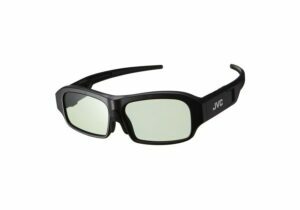 This gives pin-sharp, detailed images for an immersive viewing experience. With the colour adjustment and correction function you can easily correct for slight variations in the colour reproduction range when using multiple projection, particularly in side-by-side configuration. In the PT-VZ580 Series we have increased the air filter replacement cycle to a maximum of 7,000 hours and it can be washed twice: reducing the total cost of ownership. The high efficiency lamp also has a replacement cycle of 7,000 hours in ECO2 mode, reducing the need for maintenance over long periods of use, lowering maintenance costs and reducing environmental impact. Thanks to Plug and Share*, it’s easier than ever to project wirelessly with the PT-VZ580 series. Plug and Share gives you the option connecting to the projector with nothing more than a USB stick. Simply plug a USB stick into the projector and the configuration files are automatically copied to it – there’s no need to key in the network information. Then plug the USB into your computer and run Plug and Share straight from your USB stick – without having to install on your computer. 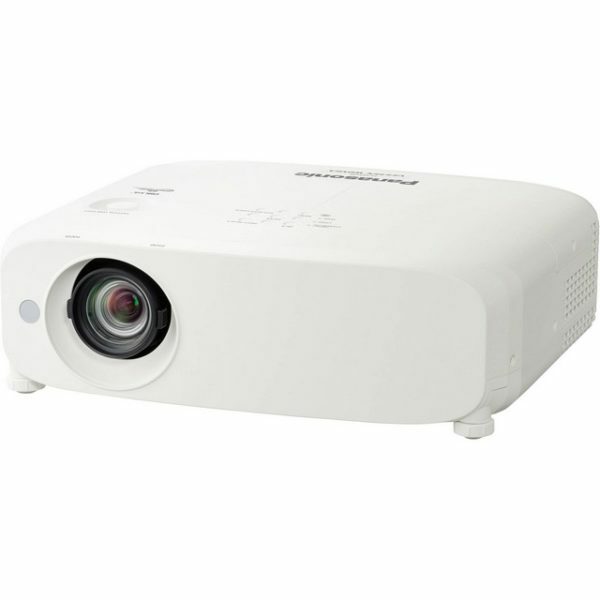 Several projectors in the PT-VZ580* Series come with Advanced Miracast for an improved wireless connection. Your Android device forms a direct Wi-Fi connection with the projector so you can discover it and connect to share your screen. With Advanced Miracast it takes a third less time to connect and the connectivity ratio is increased by 40% (compared to the VZ57N series). 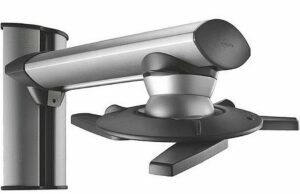 The projectors are the first series to support Moderator Mode and the Cut-In function, making them perfect for collaborating in meetings. 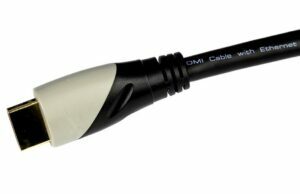 Adding to the range of options for connecting wirelessly, wired connection is also more flexible for this series. 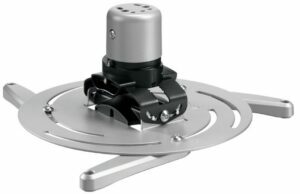 You can connect with a single DIGITAL LINK* cable with extended reach (up to 150m), giving you more possibilities when installing the projectors. The 1.6x zoom lens gives you the flexibility to project from a wide range of distances, making it easier to install the unit even when space is limited. Daylight View Basic technology makes it possible to see images clearly, even in brightly-lit rooms. A built-in sensor measures the light level in the room and the technology optimises the halftone colour and brightness levels accordingly. In quiet mode, the PT-VZ580 series make less noise than someone writing with a pencil. 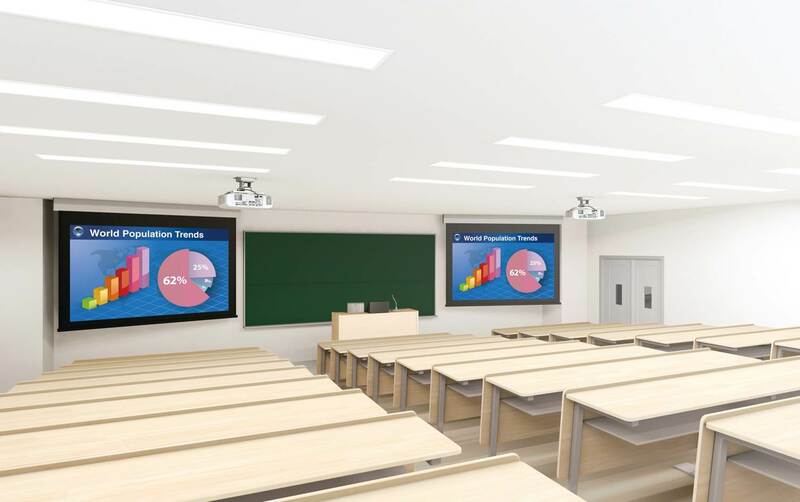 The quiet design keeps noise levels down to 29 dB*, so the sound of the cooling fan is hardly noticeable and the audience won’t be distracted during meetings and presentations.